Suzanne Jackson has taken home the award for Most Stylish Woman 2017 at the Peter Mark VIP Style Awards. Ireland's most fashionable gathered at The Marker Hotel on Friday night for the event. "I can't actually talk I'm so shocked," said Suzanne as she held back the tears during her acceptance speech. 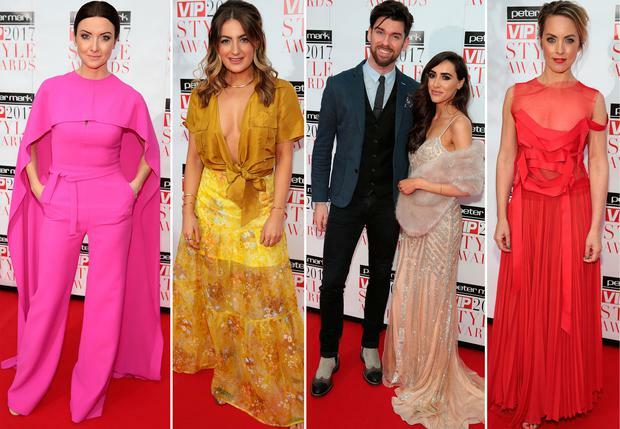 Hometown star and former Dancing With The Stars contestant Dayl Cronin was crowned Man of Style, while powerhouse Pippa O'Connor took home the award for Look of the Year, presented by Elaine Crowley. Thalia Heffernan's bespoke gown landed her the Most Stylish on the Night award, with Snapchat sensation Doireann Garrihy winning Most Stylish Influencer. Don O'Neill was honored with the first Favourite Irish designer award, while Xpose host Ruth O'Neill was named Most Stylish Newcomer. Claudine Keane and Emma McEvoy at the Peter Mark Vip Style Awards at The Marker Hotel, nDublin.